I mentioned in my previous article that I planned to accept an invitation to learn Basic Economics after writing about the first three Austrian articles. 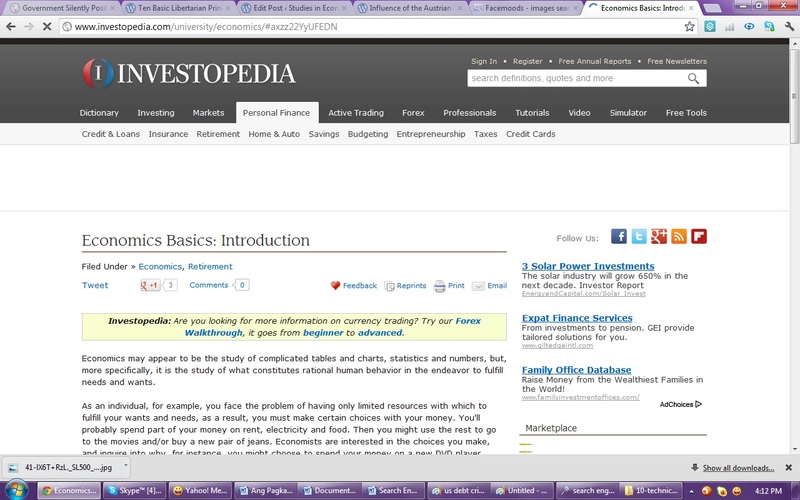 So before I proceed to read further Austrian articles, allow me to share my initial impression on that basic economics tutorial from Investopedia. The first one is about the importance of economic decisions in a world of limited supply or scarcity. 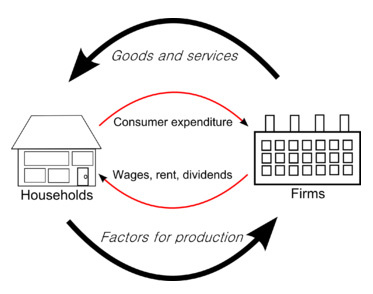 Second, I encounter again this idea between macro and micro economics. And third, I learn the importance of focus after seeing again the graphs and complicated formulas. One popular thought these days coming from personal development movement is the idea of abundance. We are told that the world is like a vast ocean of energy freely available for those who are open, who possess the right frame of mind, grateful, etc. This economic idea of “scarcity” is foreign, unacceptable, and perceived as negative thought for personal development gurus. Accepting it does not help for your personal growth. Concerning two major perspectives to see the economy, macro economics is the economics suitable for states and the international community. Micro economics on the other hand, is the economics of the household or economics from the point of view of an individual. Here lies the major difference between the Keynesian and the Austrian schools of economics. There are economists who affirm that the two realms are to be separated. For Reem Heakal, the Investopedia writer, the two are intertwined; but for Peter Schiff and I assume for all Austrian economists, there is only one type of economics; Keynesian is only appropriate for “quack economists.” Unfortunately, Keynesian is the dominant practice that we see in the world of finance and banking today. I learned the third lesson after seeing the graphs and formulas. My initial impression on the article about “Austrian School of Economics” that I mentioned in Influence of the Austrian School, is confirmed that the Austrian school is used to introduce investment ideas and strategies. I lost interest. It’s a distraction from my Austrian focus. And then I proceeded to the next topic, Supply and Demand. The graph continues. It’s only suitable for “economic experts.” And then finally, I just browsed through the remaining topics: elasticity, utility, monopolies, oligopolies, and perfect competition. It’s now time for me to return to my original objectives.